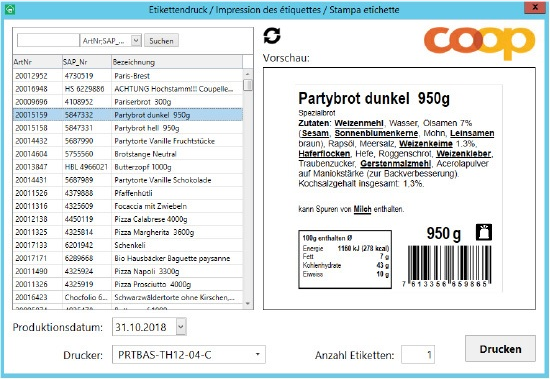 12 Dec 2018 --- Swiss retailer Coop is collaborating with developer of label design software NiceLabel to enhance the company’s labeling processes at its factories and in-store bakeries. The system helps food & beverage manufacturers to meet regulatory and regional label requirements and improves food safety. It comes as industry reviews labeling allergens in the wake of two allergy-related deaths of Pret a Manger customers and while an increasing amount of global consumers are reportedly suffering from food allergies. NiceLabel will help streamline and improve Coop’s labeling processes, including the design, management, quality assurance and production of food labels that contain allergen, ingredient and nutrition information in a consistent and traceable manner. The solution allows Coop to produce labels that are universal and portable, with consistency, speed and accuracy across the process. No matter which bakery or production facility the label is printed at, users and customers can be confident that it contains accurate and up-to-date allergen and nutritional information, the company claims. As the second largest retailer in Switzerland, Coo Click to EnlargeCoop is collaborating with developer of label design software NiceLabel to enhance the company’s labeling processes at its factories and in-store bakeries. p is using the NiceLabel label management system across its production sites and this latest project sees the food retailer roll out that functionality to its network of 45 in-store bakeries to improve the accuracy of labeling and food safety. 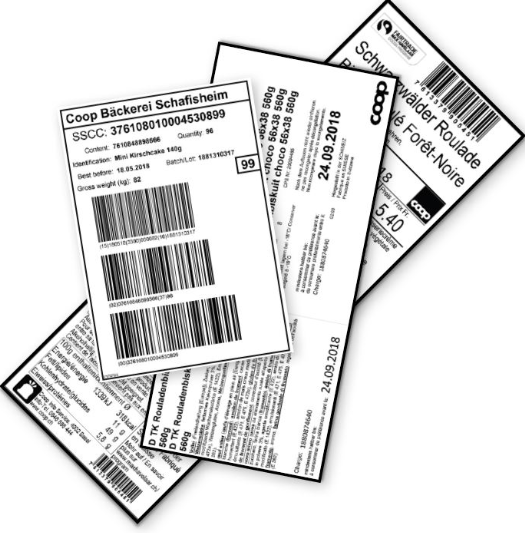 The NiceLabel system enables Coop, which had a €25 billion (US$29 billion) turnover in 2017, to consolidate the labeling process, remove inconsistencies and improve workflow and quality assurance when designing and printing product and packaging labels. Ken Moir, VP Marketing at NiceLabel, tells NutritionInsight how the NiceLabel label management system was originally adopted for Coop’s factories which helped the retailer comply with the EU food allergens regulation. “The key business drivers were that there was no consistency in label formatting, they had to create multiple versions of the same label to accommodate different systems and printers which was a heavy IT burden, user training was time-consuming, there were no digital production logs, no digital versioning, no central storage and no digital approval workflows,” he says. Coop decided a few years back that it also wanted its bakeries to have safe food labeling (as to avoid such situations as Pret a Manger), Moir adds. “The food label market is changing, and while it’s all about consumer safety, there’s a lot of confusion at the moment about what’s actually required. It is good to see that an industry leader like Coop is leading the way in food safety labeling and taking a definitive stand by transforming the way it labels its food in its bakeries,” he says. The NiceLabel label management system integrates with Coop’s existing SAP system. 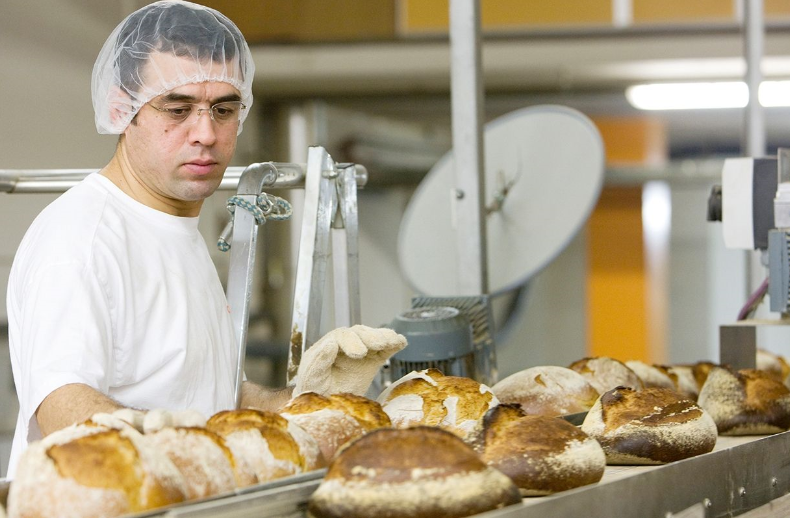 Each production site and bakery can produce their own labels, but the centralized document management system means that only specified users can make changes; the result is a more secure workflow which produces consistent labels in a timely manner. Click to EnlargeThe NiceLabel label management system integrates with Coop’s existing SAP system. Coop can now use universal templates that maintain the correct, approved label format, regardless of the printer type or resolution. “In addition, NiceLabel digitized our processes and removed the IT burden every time we wanted to change a label. Before, we had multiple interfaces to multiple printing solutions. Now we have one system, one single point of contact and one interface. NiceLabel’s Document Management System logs everything, making it traceable, and is critical to our quality control processes,” adds Gremaud. The NiceLabel label management system is also now available in the cloud following the launch of Label Cloud. In July 2016, 15-year-old Natasha Ednan-Laperouse from London, died from an allergic reaction to sesame after eating a Pret sandwich, the packaging of which did not list sesame as an ingredient, but which nevertheless contained some. She had bought an artichoke and olive tapenade baguette at Pret a Manger at Heathrow Airport before boarding a flight. In 2017, Celi Click to EnlargeCoop can now use universal templates that maintain the correct, approved label format, regardless of the printer type or resolution.a Marsh was a second teenager who died from an allergic reaction to Pret a Manger products. This led to calls from the UK's Institute of Food Science & Technology (IFST) for a review of allergen labeling legislation. Pret a Manger says that in the last two years it has improved its allergen information. It now displays declarable allergens for its freshly made products on shelf tickets in front of each product and also has signs in its fridges, on product packaging, and at till points advising customers with allergies to speak to a manager to see the company Allergen Guide. The company’s additional changes also include prominent allergen warning stickers being placed on all individual freshly made products, additional allergen warning signs are displayed in shops and full ingredient information, including allergens, for all products is available online and in shops. In October, the US Food & Drug Administration (FDA) started an investigation into the prevalence and severity of sesame allergies as part of considerations to impose regulations on packaged food labels. The FDA said that it would begin collecting information after the country is starting to see evidence that sesame allergies may be a growing concern in the US as some studies suggest that the prevalence of sesame allergies is more than 0.1 percent, on par with allergies to soy and fish. Globally there is a rise in the number of people suffering food allergies. Research last year found that 3.6 percent of people had a documented food allergy, with highest rates among females and Asians. 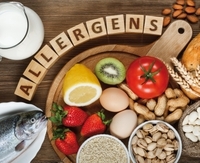 Investigators from Brigham and Women's Hospital in the US combed through medical records from more than 2.7 million patients, identifying more than 97,000 with one or more documented food allergy or intolerance.